Truly disruptive technologies happen rarely, perhaps once every decade and we are now in the next great transition with bitcoin doing for money what the internet did for information. Currently we need to trust our money to a third party like a bank who charge us for storing and transacting with it, transactions can take days to clear, getting a loan can be a long and involved process and our money is only really accessible between the hours of 9-5 Monday to Friday. Fees, inconvenience, inaccessibility, we don’t really think about this and continue with our daily lives, but Bitcoin can solve these issues and place you back in control of your finances. Bitcoin is a decentralised, peer to peer, transparent digital currency. This means that no single entity controls Bitcoin (the code is open for all to see), you can send money and pay for things anywhere in the world instantly for free and all transactions can be seen and accounted for in a shared ledger that is constantly kept up to date called the ‘blockchain’. Bitcoin can be thought of as being your own bank. In Hong Kong today there are a number of startups and small businesses using bitcoin to reduce costs and reach new audiences like the Paperclip startup campus that has used bitcoin to pay for event tickets. Flower Delivery Hong Kong use it as a method of payment and Bitspark who provide merchant services and trading facilities for bitcoin. 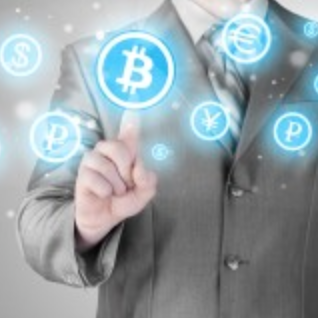 Bitcoin as a currency has many uses but investigation is now turning to ‘bitcoin 2.0’ tech. The ‘blockchain’ can store data forever in a secure, auditable and decentralised ledger which makes it ideal for storing agreements, contracts or anything that exists on paper. In fact, in September this year a couple from Florida, USA had their marriage enshrined on the blockchain with others using the blockchain to exchange contracts for cars, legal documents and company shares. Entrepreneurs can use the blockchain not only for payments but can now publicly list the company entirely on the blockchain as a low cost way to IPO (open source projects like Storj and Ethereum have done this raising millions). The ‘Internet of Things’ is a new buzzword describing how embedded sensors and computers interact with real world environments and transmit their information between each other and ultimately onto the internet. According to IBM, the blockchain is the most efficient low cost way for these devices to communicate without any centralised infrastructure (like a company maintaining their own large cloud network). What if your smartwatch contained an electronic key to unlock your door or if garbage bins used real time monitoring to issue alerts to municipal services on when to empty them. All of this information is a ‘transaction’ or a piece of information in a ledger- ideally suited to the blockchain. Hong Kong has a unique opportunity to be at the forefront of the next big IT boom in 2015 which will bring new jobs, knowledge and social inclusion. Undeniably the free flow of information via the internet has enriched the lives of millions around the globe, bitcoin is changing the way we think about money but also leaves the door open for future possibilities in our ever increasingly connected world, whatever they may be. George is a startup entrepreneur based in Hong Kong. Long time bitcoin enthusiast and mysterious traveller he is currently focusing on bringing finance to the ‘next billion’.